Master of Business Administration (MBA) in Sales and Marketing is a professional program that progress the students career in sales and marketing. This MBA programs creates a manager that is capable to master the marketing and sales processes and the procedure to design successful sales and marketing strategies. Sales and marketing also educate to effectively address marketing and sales decisions and implement various sales and marketing tools. The sales and marketing fields majorly focus to promote and sell their products and services. Thereby they pay attention to carry out product promotions, marketing’s, advertisements, sales, and public relations. Detailed strategies are prepared first and then analyses for the demand and supply of products and services in the market is done. The basic eligibility for pursuing masters in business administration, the student must have a secondary education or 10 + 2 or equivalent. The duration for a UG program is of 3 years. For admissions in the master’s degree the student must have a bachelor’s degree in any stream. The duration for a PG program is of 2 years. The Institute of Business Studies and Research in Mumbai is a well known name for providing an MBA in Sales and Marketing. When the program in sales and marketing is done, the student has a lucrative career approach in the future. As the IBSAR in Mumbai offers great deals of companies that involve distributors and fix targets to work on strategies. There sales and marketing includes pricing, product development, promotions, market research, and distribution. The managers for sales and marketing department usually employed in advertising, manufacturing, finance, insurance, retail, and publishing industries. How to choose right MBA for you? An MBA program needs one the biggest investment in terms of time and money. For this, you must make the correct choice of schools or programmers under affiliated universities that rule the market or business. Yes indeed, to be a successful professional you don’t need an MBA at all, but a qualified MBA candidate is prioritized. In India, the demand for a qualification has reached to an extraordinary level that focus mainly on the higher level of professional degree and the university from where it has been done. Identify the type of MBA Program: This belongs to check for what the degree offers and what is its relevance to the job market. MBA programs are conducted in full time, accelerated, part time, or online. By filtering the type of study option, you can further concentrate the time limitations that work to narrow down your choices. Time Commitment: A full time MBA program runs for two years, wherein some of them conducts intensive core curriculum in the first year and provides broad overview of the major areas of business. In second year, typically takes electives in your specialized area that increases your network and helps you find a job. Level of Experience: Some of the programs are designed for students with little working experience and some are designed for part time programs. There are early career MBA programs and executive MBA programs. Personal Fitness: This deals with the class size and the environment in which you are going to spend your money and take the professional skills. Some students prefer small classrooms with limited students and some goes for big classroom structures with lecturers. Finally, it is up to you to decide what your environmental needs are and which serves you the best for studies. Career Goals: This focus mainly on the gains that you can have after completing your MBA. There are various graduate certificate programs and dual joint degree program that qualifies you with marketing, finance, entrepreneurship, international business, and many more. Cost: This concerns about the course fees in which the part time, executives, and certificate programs are concerned. Some of the organizations exchange for a number of years after graduation and they also provide scholarship money for the full-time students. Confused! Yes anyone can be but this can be managed and set in a better way by proper guidance and expertise advises. The IBSAR Mumbai provides you with a multi-discipline environment that focuses mainly on the business programs. The Institute of Business Studies and Research (IBSAR) provide an outstanding learning environment that facilitates the best learning experience influenced by most experienced teachers, researchers, top management professionals, and consultants. The IBSAR students are capable to have strong communications, interpersonal skills, ability to perform, quantitative knowledge, management skills, and many more. Why International Exposure is Beneficial for Students? In today’s world the competition is so intense that one needs to be highly capable in order to build a successful career. Students must keep learning from various experiences that they encounter during their academic and personal life. Many experts believe that going abroad for higher studies can prove to be of immense benefit for a student and as this experience is so dynamic that it makes a student better prepared for the corporate world. The best part of studying in a global environment is that it helps you to develop contacts with people of different nationalities and gives you an opportunity to build a global network of contacts. In future some of these contacts might prove to be of great help in your career. Moreover studying abroad boosts up our CV as most of the interviewers get impressed as they are aware of the fact that it is a valuable experience and it must have provided you with a lot of exposure. An international exposure helps you to get familiar with a different kind of academic pattern that would challenge your skills as a student. This would help you to learn to adapt to new situations and it would certainly encourage you to perform to the best of your abilities. To put it in simpler words, it can be said that an international exposure contributes in the overall development of a student. At Institute of Business Studies and Research, we understand the importance of international exposure and therefore we provide you the right guidance to pursue your dream of studying abroad. In the recent years retailing has taken the Indian market by storm. This field has the potential to offer abundance of opportunities to the students who keep an interest in building their career in retail management. Keeping in mind the growth prospects more and more students are opting for Retail Management program to learn the skills that are required to work efficiently as a Retail Manager. Well, the first thing is to understand the meaning of ‘retail’. The transfer of goods or products from the manufacturer to the customer after passing through various stages is called retail. The scenario in today’s market is such that the maximum share of revenue in most of the businesses gets generated from the retail sales. It is worth noticing that retail is not just confined to shopping malls and shopping complexes, it is much broader concept than this. Retail has its reach to everything that involves selling and buying of products. Even the smallest of shops are a part of retailing as even these shops deals in selling of products. Due to its vast reach and existence the field of retailing is growing at a massive speed and in the coming years a huge growth is expected in the Indian Retail sector. Therefore the demand for retail management professionals is going to increase manifolds in the coming few years. This is the reason why so many management institutes have crafted a special MBA in retail management to prepare the students to grab the bright opportunities that are going to come their way if they plan to build up a career in the retail sector. 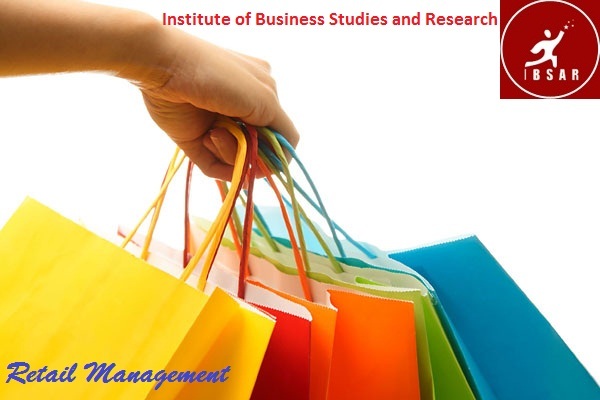 Experts from Institute of Business Studies and Research suggest that after completing their MBA in Retail Management, students become highly trained in handling administration of the stores by taking care of the net sales and net profitability. In simpler words, the Retail Management program helps the students to get familiar with the pros and cons of this particular stream and helps them to become capable retail managers. Getting needed a MBA course is exciting. You have trust in a brighter future and anticipate beginning an effective profession. Maybe you are more established and have a family to encourage or perhaps you are youthful and eager to get a decent begin on your life. In any case, it can be a touch threatening when you appear for your first day of a MBA course. You can’t let your gatekeeper down and begin feeling like you have everything clinched. 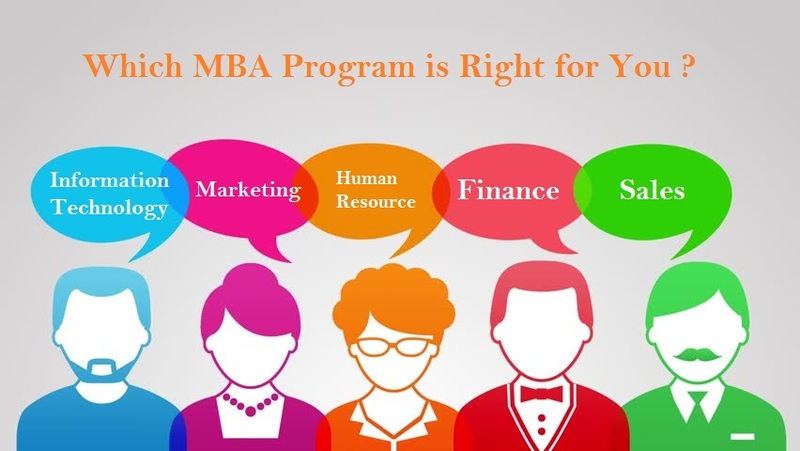 No MBA project is a cakewalk and you will require a great deal of center and drive to overcome your course and begin a prosperous vocation for yourself. This is a standout amongst the most critical study ranges on the planet and there are a ton of occupations out there for individuals who have finished a MBA program. It is the understudies who center and truly take in all the data offered by their MBA course that find the best employments, take home the best pay rates, and construct the most remunerating vocations. Most MBA projects will give you the choice of picking a specialization sooner or later. This is a choice that you ought to consider important since your picked specialization can affect your future vocation. If you pick a specialization with an exceptionally slender profession center you could constrain the openings for work once you move on from your MBA program. Your MBA coursework for the fundamental MBA will at present be significant, however businesses outside of your picked specialization may address why you accomplished that specialization in the event that you are not going to utilize it. IBSAR is one of the multi disciplinary business schools that provide actionable MBA courses. Is BBA A Good Course to Pursue? You will find a long list of management institutes that are offering an undergraduate program BBA courses for those who have completed their schools and want to make a career in business administration. As we all know MBA denotes Master of Business Administration and BBA stands for Bachelor of Business Administration. As MBA can only be joined in after completion of graduation programs, you can join BBA after completing 12th standard or just after finishing the schools. BBA is a junior level program for an early entry into corporate world. You will receive sufficient education and training to start your career as a trainee or junior level in corporate world. BBA is available in multiple disciplines like BBA – Bachelor of Business Administration (Plain), BBA-FT – Bachelor of Business Administration in Foreign Trade, BBA – Accounting, BBA – Entrepreneurship, BBA – Finance, BBA – Legal Studies, BBA – Management, BBA – Management information systems, BBA – Marketing, BBA – Supply chain management, etc. Mostly it takes 3 years to finish BBA as full time training program, which equips students with necessary knowledge and skills in common business areas such as marketing, finance, humane resource, etc., and, just like it is with MBAs, students can receive specialized training in their selected field. Institute of business studies and research provides a BBA course to help you build a lucrative career and make good money. Why you should take Admission in the BBA Program? After passing 12th board, it is the time to choose a career options. Students start exporting various courses and applying for admission in different colleges. Unlike old times, today students have various options to pursue for their graduation. If you want to go into management field, then you do not have to wait and finish your graduation to pursue MBA, instead now you can also do graduation in that field by joining a BBA program. In fact, students find BBA as promising course for a successful career. Institute of Business Studies and Research offers a plethora of course options including BBA program to help students build their careers as per their preference. The basic aim of a BBA course is developing the basic business and management skills into the students to help them fetch a lucrative job in a company, or start own business. New to the real world learning experience; they are keen to grab knowledge. Moreover, this is the phase of their life where they tend to learn harsh realities of the job market and make all possible efforts to step up in their career. There is great difference in the perspective of a new entrant as well as the ones who have been into business for few years. Young people bring with them a new perspective of viewing things as well as fresh ideas to operate efficiently. Hiring an apprentice helps reduce the youth unemployment problem as well as help the youth in gaining good experience to prosper in their career. Since apprentices haven’t worked elsewhere; they are less likely to have gained any bad habits. Hence, they could be trained easily. For hiring an apprentice, companies don’t need to dole out much money. Hence, it is a good deal to hire apprentice as they are keen to learn and perform each task with full sincerity without demanding much in return. In addition, grants are sometimes available to encourage companies to take on apprentices. Apprenticeship mutually benefits the organization as well as the young graduates; hence this practice has become common in wide range of fields.